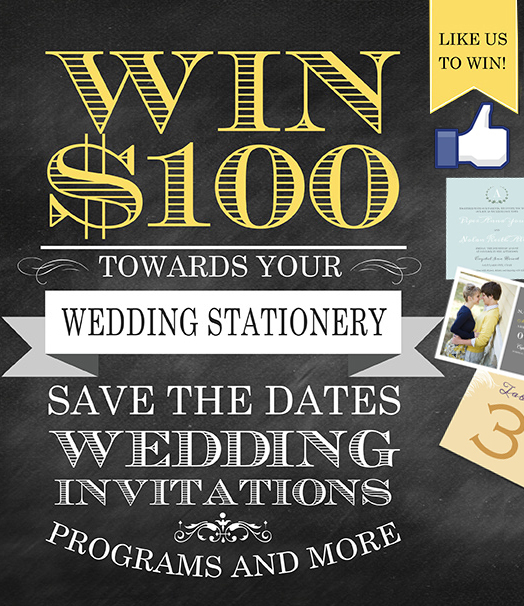 Win $100 Towards Your Wedding Stationery! Our Save The Date For Less Contest is your chance to win $100 towards your wedding stationery. Enter to WIN by “Like”ing our Facebook page and have fun telling your love story. Also, get an additional entry for every Facebook friend that signs up for the sweepstakes. Don’t worry we’ll keep track… All you have to do is share the page. Click here to enter today! Your wedding day will be one of the most important days of your life. It is a day that marks a turning point in your life, and should be fun yet elegant and memorable. If you’re currently going through the planning process, consider how you can make each portion of your party stand out. Here are several suggestions in order to make your special day unforgettable! 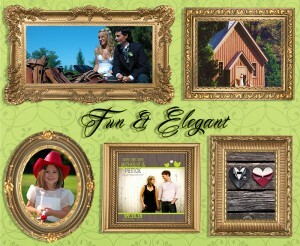 Couples will find that their creative juices begin to flow once they have selected a wedding theme. Some of the most popular themes are vintage, country, fall, winter wonderland, garden party, and sunflowers. Once the theme is chosen, it becomes easier to plan the rest of the wedding. Planning your wedding will not only be fun, but will also offer you limitless possibilities with your décor, color scheme, cake selection, and even your wedding ensemble. Guests can also get in on the action once you inform them about your theme, indicated by the save-the-date card and wedding invitation you send them. Many couples feel the cookie-cutter ceremony does not suit their style. While most feel it’s just easier to stick with tradition, the ceremony may not exactly suit who you are as a couple. Know that you can infuse your personality and style into your ceremony by customizing your vows. If you are a couple who loves wine, you can ditch the unity candle and drink from the same cup. You can even pass around some pre-filled glasses to guests to join you. Include some of your favorite quotes into your vows, or even invite some friends of family members to say a few inspirational (or even funny) words about your relationship during the ceremony. 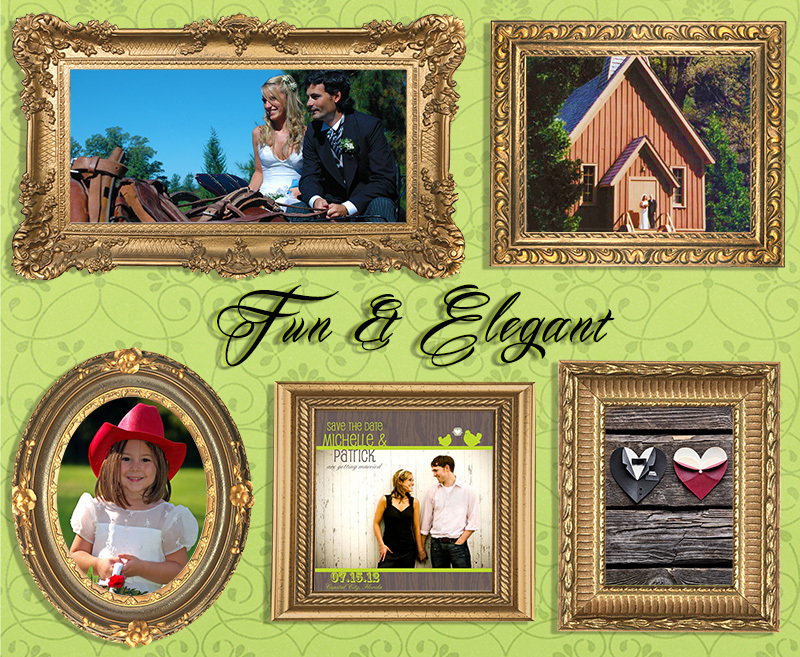 It’s a great way to do something out of the norm that is fun yet classy and acceptable, but memorable (most of all!). If you search YouTube for ceremony entrance or exit songs, you’ll notice that a lot of couples get the party started immediately! They put together dance routines or arrange for their wedding party members to enter and exit to specific songs that suit their personalities. Once guests hear upbeat, celebratory tunes, they are sure to start clapping, smiling, and dancing their way out of the ceremony into the cocktail hour or reception. These suggestions are simple, fun, and completely memorable for everyone. Consider them if you are in the wedding planning process and are looking for unique ideas that are a huge hit with the guests!